Travel to the far-flung corners of India on this trailblazing adventure tour. In the north, ride camels through Jaisalmer's desert, lose yourself in the electric bazaars of Jodhpur, witness pilgrims performing ancient ceremonies on the ghats of Varanasi and marvel at the iconic Taj Mahal in Agra. Bask in the tropical southern climate, cruise along the Kerala Backwaters and come face-to-face with local customs in small rural towns. This fantastic trip finishes off on the gorgeous beaches of Goa ' India's idyllic beachside holiday destination. Enjoy the freedom to be immersed in the diverse cultures of colourful, chaotic and enchanting India. Namaste! Welcome to India. Your adventure begins with a welcome meeting at 6pm on Day 1. Please look for a note in the hotel lobby or ask the hotel reception where it will take place. If you can't arrange a flight that will arrive in time, you may wish to arrive a day early so you're able to attend. We'll be happy to book additional accommodation for you (subject to availability). If you're going to be late, please inform the hotel reception. We'll be collecting your insurance details and next of kin information at this meeting, so please ensure you have all these details to provide to your leader. India's capital is an exciting, busy, and often chaotic city but it's also one of the most interesting in the world with historical sites from different eras, museums and galleries, shops and endless bazaars! There are plenty of things to see and do in free time. Visit the World Heritage-listed Mughal masterpiece of Humayun's Tomb. This was the first garden tomb in India, built way back in 1570. Wonder at the tall brick minaret of Qutub Minar, which was started back in the 1100s. Explore the mighty Red Fort of Delhi. Part palace and part fort, it plays an integral part in the history of the city with former residents ranging from royal families to British soldiers. Join your group leader on an excursion into the sights and sounds of Old Delhi! Set off on the city's modern metro system, then get a taste of India's famed public transport with an option for a cycle rickshaw ride through chaotic streets, such as the famous Chandni Chowk. Make a visit to the Jama Masjid, Delhi's oldest mosque and one of its most impressive buildings, then visit the Sheeshganj Gurudwara (Sikh Temple) to learn about the Sikh religion. Board an overnight train to Jaisalmer (approx 19 hrs). Our sleeper trains along the way are clean and air-conditioned, and are a great way to travel long distances and still get maximum time in each place. Beds are padded berths with sheets, pillow and blankets provided but some people prefer to bring their own sleeping sheet. Please note you may be sharing with locals in a same/mixed gender situation. It's advised to bring your own food on this train. In the morning, set off with the group to explore Old Delhi on a guided walking tour. Experience the chaos of an Indian traffic jam, as you inch your way through the streets around Chandni Chowk marketplace in a traditional cycle rickshaw. Visit the Jama Masjid, Delhi's oldest and India's largest mosque, and then stop by the Sheeshganj Gurudwara (Sikh Temple) to learn about the Sikh religion. Tonight board a 19-hour overnight train to Jaisalmer. Local vendors will board the train at various stops to sell snacks, but it's advised that you bring your own food for the journey. We should arrive in Jaisalmer around midday if there are no train delays. Looking like a scene from The Thousand and One Nights as it rises from flat desert surrounds, Jaisalmer is a centre for nomadic tribespeople who come to trade in the narrow twisting alleys full of markets and ornately carved houses. Maybe visit the Jaisalmer Folklore Museum. Located on the banks of Garsisar Lake in the Mehar Bagh Garden, its wide variety of exhibits offer a great experience for visitors. Pack a small overnight bag for our travels today and leave your big luggage at our hotel until our return. Today brings an opportunity to ride camels out over the sand dunes to spend a night under the stars in the beautiful Thar Desert. We get driven by jeep to the camel camp, meet our guides and ride through the desert to our camping spot for the night (up to 3 hours). After our ride we set up our camp and our guides will get a camp fire going to cook dinner. We truly are under the open sky here, with mattresses, pillows, sheets and blankets provided for camping out. Wake up early the next morning for an amazing desert sunrise before a simple breakfast. Then we ride our camels again (up to 90 min) back to our drop off point to return by jeep to the city. IMPORTANT INFORMATION: Please note that during winter months (Dec/Jan) temperatures in the desert can drop below zero. Your leader will monitor the weather forecast to decide whether this activity will be able to go ahead. Should weather conditions prohibit us from camping, we will take a day trip to the Thar Desert instead of the overnight stay. Some travellers have also preferred to being sleeping bags for camping in winter months. We recommend that travellers to India during this time of year bring adequate warm clothing, including thermals as even in the cities the temperatures can be low and hotels often are not centrally heated. Rise early to enjoy the sunrise over the sand dunes before having a simple breakfast. The ride back to the drop off point from the desert takes around 90 minutes. Return to the city by jeep, where you can take an optional trip to the Folklore Museum. This small museum displays printing blocks, musical instruments, religious artefacts and camel decorations, offering insights into the cultural heritage of Jaisalmer. Catch an early morning air conditioned train through the desert to Jodhpur (approx. 6hrs) Jodhpur is known for its antique shops and the best lassi in India. And yes, it is where those famous trousers come from. Visit Sadar Bazaar, one of the oldest markets in India. Built around a clock tower amid spice and vegetable markets, juice sellers and sari materials, Sadar Bazaar also has numerous vendors with carts selling everything from Bollywood soundtracks to armfuls of sparkling bangles. Explore the colossal Mehrangarh Fort and take in the great views from its ramparts, which dominate the city's skyline. Take a tour of the nearby Bishnoi villages. The Bishnoi are a peaceful nature-loving community and no trip to this region is complete without experiencing the fascinating traditions of the tribespeople of rural Rajasthan. You have the option to visit the colossal Mehrangarh Fort today. The fort is one of the largest in India and is still run by the Jodhpur royal family. Explore the palaces, galleries and artillery inside the fortress walls and admire great views over the city. Today's other option is to take a tour of the nearby Bishnoi villages. Take a glimpse into rural Rajasthani life and learn about the rich cultural traditions of these peaceful, nature-loving tribespeople. Take a local bus to Udaipur (approx 8 hrs). Udaipur undoubtedly lives up to its reputation as India's most romantic city. Rolling hills, white marble palaces and lakes come together appealingly and it's a centre for artists, dancers and musicians. The shopping is also superb, with miniature paintings being the speciality. On arrival in Udaipur, take a walk around town to help gather your bearings. Explore Udaipur's twisting alleys filled with silver, shoes, bags, leather goods and miniature paintings. There's plenty to see and do in your free time here: Enjoy a half hour boat ride on the famous Lake Pichola and see marvels like Lake Palace and Jag Mandir Island (seasonal depending on the water level in the lake). If time, visit City Palace, one of the largest royal palaces in India, and check out the unbelievable treasures within - from vivid murals to antiques and royal utensils. Join the famous Spice Box cooking school and spend a half day learning the secrets of Indian cuisine. With lessons on preparation and cooking, you'll be able to whip up a full Indian meal in no time. Be part of a musical concert combining seven traditional Rajasthani folk dances. Check out the Monsoon Palace. Formerly known as the Sajjan Garh Palace, this palatial hilltop residence overlooks Lake Pichola. It was originally named after Maharana Sajjan Singh (1874'1884) of the Mewar Dynasty, who built it in 1884. Explore Shilpgram, a rural arts and crafts village, which depicts the lifestyles of the tribal people of western India with displays of traditional mud huts and artistic performances. Enjoy a free day to explore the sights of Udaipur. Perhaps take a short boat ride on the famous Lake Pichola and see the palaces of Jag Mandir and Jag Niwas rise out of the water of their own reflections (season depending). Take a guided tour of the lakeside City Palace complex, the largest palace in Rajasthan. While inside, check out vivid murals and royal antiques, and pop into the impressive Jagdish Temple that's dedicated to the Lord Vishnu. Alternatively, learn the secrets behind making the perfect Indian thali during a half-day cooking class at the Spice Box school. Today's excursion sees you visit Sajjan Garh (Monsoon Palace). Perched atop a hill overlooking Lake Pichola and built it in 1884, the palace was named after Maharana Sajjan Singh of the Mewar Dynasty. You might like to join a trip to the nearby rural arts and crafts village of Shilpgram, where mud huts, artistic performances and traditional rural ways of life can be observed. Back in Udaipur, enjoy a concert combining seven traditional Rajasthani folk dances. Travel by train to the city of Ajmer (approx 7 hrs). Take private vehicles from Ajmer to our hotel in Pushkar (approx 45 mins). Pushkar is one of the India's holiest places. It's also a market centre for many of the local village people and a great place to sit back and relax. Head out to explore Pushkar's main bazaar and many sidestreets - some great bargains can be had, as some of the cheapest clothes and jewellery in northern India can be found here. Walk around the lake, with its bustling ghats and temples, to watch the devout as they worship at the holy waters. Visit the only Brahma Temple in India. Early risers can make the sunrise hike up the hill to the Savitri Temple for magical views over the town. There could also be a wonderful steaming glass of chai waiting for you if the chai man is there - certainly well worth the trek. Early morning risers can hike up the hill to the Savitri Temple for sunrise views over the town. If the chai man is there enjoy a steaming cup of tea at the top. Later in the day pay a visit to the colourful Brahma Temple, which is dedicated to the Hindu god, Brahma. If you're lucky enough to be in town for the Pushkar Camel Fair, experience one of India's most famous festivals. Travel by local bus to the 'Pink City' of Jaipur (approx 4 hrs). A friendly, busy town crammed with palaces and bazaars full of jewellery, textiles and folk-based arts, Jaipur is a firm favourite with travellers. Some options for your free time here include: Make a photos stop at India's most photographed building after the Taj Mahal, the Hawa Mahal or 'Palace of the Winds'. Take a walk to the city's crowded and colourful bazaars, which sell a wide variety of artisan goods. Semi-precious stones are the local speciality - be sure to wander by the stalls at least once. Go to Jaipur's Royal City Palace - one of India's finest - and spend time exploring the various rooms and apartments. Discover the extravagance of a Bollywood blockbuster, with all the Hollywood-style elements of action, romance, drama and music (sometimes all rolled into one), at the spectacular Raj Mandir Cinema. For many travellers, a hot air balloon experience is one of the highlights of Jaipur. Ballooning can be done over the city early in the morning between September and June. For additional information, please see the 'Important Notes' section of the trip notes. In the afternoon, visit the Amber Fort. Set on a hilltop overlooking Maota Lake, the fort is an excellent example of Rajput architecture. Entering the Sheesh Mahal (Hall of Mirrors) is a particularly memorable experience. Continue to rural Abhaneri to visit the amazing Chand Baori. The village of Abhaneri is prominent for 'Baoris', step wells which were invented to harvest rain water. These tanks were used as cool places of retreat and as water reservoirs during the dry season in this desert landscape. Whilst a lot of local tourists visit, this is the traditional rural Rajasthan, its a lovely stop away from the big cities of Rajasthan. Head east by public bus to Agra (approx 2.5 hrs). Agra is home to one of the world's most recognisable monuments, the Taj Mahal. Visit the Taj Mahal - a masterpiece of shimmering white marble set amid beautiful formal gardens. Built by Emperor Shah Jahan as a memorial to his wife Mumtaz, this 'teardrop on the face of eternity' (as it was described by writer Rabindranath Tagore) lives up to all expectations. Visit Agra Fort on the banks of the Yamuna River. Built in 1565 by Emperor Akbar, the fort was originally designed to be a military structure. It was converted to a palace in Emperor Shah Jahan's time and eventually became his prison after he lost power in 1658. Leave for Varanasi on an overnight train (approx 12 hrs). Today explore the spectacular Red Fort on the banks of the Yamuna River. Built in 1565 by Emperor Akbar, the fort was originally designed to be a military structure. If you have extra time, you may like to continue onto Akbar's Mausoleum to pay your respects to the great emperor. In the evening, take a 12-hour overnight train to Varanasi. The ultimate destination for all Hindu pilgrims, Varanasi is full of temples, shrines and devotees. It may not be one of the world's cleanest cities but there is no doubt it is one of the world's most amazing. You have a plenty of free time to explore this holy city: Wander through the Old City with its maze of narrow alleyways packed full of small shops and stalls. See pilgrims bathing and performing rituals and ceremonies unchanged for hundreds of years; temples full of bell chimes and the smell of incense; the dhobi wallahs and the burning ghats. Spend the evening soaking up the magical atmosphere of a candle flower ceremony, on a Ganges river cruise as the sun sets. Start very early with a sunrise boat trip along the Ganges, passing pilgrims bathing and praying along the colourful ghats. See dhobi-wallahs (washerwomen and men) drying clothes along the riverbank. Make sure you keep an eye out for the sinking Vishnu temple near the Manikarnika Ghat. The rest of the day is free for you to do as you please. Perhaps take a trip out to Sarnath, where Buddha gave his first speech after finding enlightenment. The Dhamekh Stupa dominates the landscape of this holy site. We arrive late morning today from our overnight train. You have a free rest of the day to relax or explore Delhi. Your leader will be on hand to give you some suggestions. Enjoy a free morning in Delhi before making your way to the airport to fly to Trivandrum. The internal flight from Delhi to Trivandrum is NOT included. There may not be many direct flights on this day with a lot of flights going via Mumbai or Chennai. If you can get there before 6pm you can join the new joining meeting. If not, your leader will be able to update you in the morning. As this is a combination trip, your group leader and the composition of your group may change at this location. There will be a group meeting to discuss the next stage of your itinerary and you're welcome to attend, as this is a great chance to meet your new fellow travellers. Varkala sits on India's Keralan coast and is home to some of the whitest and most pristine beaches in the whole country. The sandy bay here is protected by soaring cliffs, the beach sits below the rock face, whilst the town itself sits prettily along the cliff edge above, a string of laid-back bars, restaurants, guesthouses and hotels. It's a great place to just kick back and relax, but if you want to get active, there are plenty of water sports on offer. Sitting on the sand and watching the sun dip below the horizon is the perfect way to end a day here. Enjoy a free day in Varkala. This is a great place to sit back and relax, but if you want to get active there are plenty of water activities on offer.. Even though this is a popular destination for Indian tourists, the beaches are quiet and laid-back. Take a local train along the Keralan Coast to reach Alleppey (approx 2.5 hrs). Auto rickshaws take us from Alleppey train station to the boarding point for our boats. Alleppey's sleepy, palm-shaded backwaters are Kerala's hidden treasure. Once an important trading port and now famous for its August 'snake boat' races, Alleppey is the starting point for most journeys into the backwaters and also hosts a mid-December musical festival. Crossing the backwaters, head to an island village to stay with local families (approx 1 hour). Explore the backwaters with a local guide to observe the different facets of local life - this is a great chance to meet and talk with the people who live here. Strolling under palm trees and weaving in between the rice fields that cover the island, learn about their lifestyles. Take a leisurely pole boat ride around the lake and enjoy the outstanding scenery. Accommodation is on a multishare basis and all the families live within a few hundred metres of each other, with at least one person in the family speaking a reasonable standard of English. Food is traditional Keralan home cooking. Crossing the backwaters by private boat, head for Alleppey (approx 1.5 hrs). Take a local bus to Kochi (approx 2 hrs). Spread over several islands, Kochi is a fascinating place full of Chinese, Portuguese, Dutch and English influences. 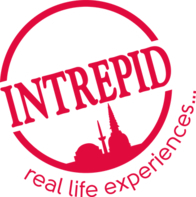 Stay at Intrepid Kaliveedu. This is a special lodge offering very different ambience with large landscaped gardens, air-conditioned rooms and a central location close to most of the sights in Fort Cochin. We will reach Kochi around midday. Today we will go on an orientation walk with our leader and take in the sights in the vicinity of our accommodation. Some of the sights to see include St Francis Church, Santa Cruz Basilica and the famous Chinese fishing nets. There's the option of attending a Kathakali dance performance tonight at 5pm. This classical dance is a highly charged and powerful drama that combines devotion and physical virtuosity with symbolic storytelling to produce one of the most impressive and vibrant forms of theatre in the world. It requires lengthy and rigorous training to attain complete control of the body and sensitivity to emotion so as to be able to render all its nuances through facial expressions and hand gestures. The following day we will head to the Mattancherry part of Fort Kochi where we explore the old Jewish quarter, Synagogue and Dutch Palace. The tour takes approximately 2-3 hours after which the rest of the day is free. In your free time why not join one of our Urban Adventures such as Fort Kochi by Bike, Home Cooked Kochi or Kochi Food & Culture Tour. Please check with your leader in advance if you would like to book one of these tours and they can assist in making arrangements. Today, head to the Mattancherry part of Fort Cochin to explore the old Jewish quarter, synagogue and Dutch Palace (Kochi Palace) on a guided walking tour. The tour takes around three hours, with the rest of the day free to do as you wish. Why not join one of our Urban Adventures day tours, such as Fort Cochin by Bike, Home Cooked Kochi or Kochi Food and Culture Tour. Please check with your leader in advance if you'd like to book one of these trips. Set high in the ranges of the Western Ghats is the Periyar National Park and Tiger Reserve. This wildlife sanctuary surrounds a picturesque lake, formed by the building of a dam in 1895, which meanders around the contours of the wooded hills and provides a permanent source of water for the local wildlife. Though it's a tiger reserve, tourists come here to view the Indian elephants in the act of ablution and playfulness by the lake. After breakfast, enjoy a free day with an optional walk around Periyar National Park. Be on the look out for tigers and other wildlife such as bison, wild boar, elephants and spotted deer. Sightings of Tigers are extremely rare but the walk in the National Park is informative and a great chance to get out into nature. Set high in the ranges of the Western Ghats, this wildlife sanctuary surrounds a picturesque lake formed by the building of a dam in 1895. If you're lucky, you might even see Indian elephants bathe in the lake. Crammed full of bazaars, pilgrims, cycle-rickshaws, beggars and street markets, Madurai showcases southern India at its colourful and lively best. Visit the Sri Meenakshi Temple, which lies at the heart of the city. This ancient, still active temple is a labyrinth of lamp-lit corridors which lead to shrines where some mysterious and interesting rituals are performed. Wander the bazaars and the tailors' market. Today is a free day in Madurai. Perhaps head to the Ghandi Museum to learn about the man who fought for India's independence or wander through the 1,000 pillars of Aayiram Kaal Mandapam. This is also a great opportunity to haggle with vendors at the bazaars and the tailors' market. In the evening, take an overnight sleeper train to Mysore. The journey is approximately 14 hour so you may want to bring snacks. Sleeper trains are clean and air-conditioned, and beds are padded berths with sheets, pillow and blanket provided (although some people prefer to bring their own sleeping sheet). Please note that you may be sharing with locals of the same or opposite gender. Board a local bus to Mysore (approx 3 hrs). Mysore is an easygoing town with a pleasant climate, perfect for wandering around on foot. A visit to Mysore isn't complete without a look around Mysore Palace. One of the most ornate palaces in India, its interior is a riot of colour, mosaics and mirrors. Visit the Keshava Temple in Somnathpur - a stunning example of Hoysala temple architecture (approx 1 hr from Mysore). You have plenty of time to explore the surrounding countryside, so head out and climb Chamundi Hill - site of the Sri Chamundeswari Temple, which is dedicated to Goddess Durga. Today is a free day in Mysore, with plenty of optional activities to keep you busy. Perhaps explore the countryside surrounding Mysore. Climb up Chamundi Hill to the Sri Chamundeswari Temple at the top, which is dedicated to the goddess Durga. At 7 pm board an overnight 10-hour train to Hampi via northern Karnataka. Arrive in Hampi and cross the river to our guesthouse by canoe. Hampi is a beautiful ancient temple town situated on the banks of the Tungabhadra River. Explore the Vittala Temple - the architectural highlight of Hampi's Vijayanagar ruins. After breakfast, explore the ruins of the Vijayanagar Empire and the huge boulders on the outskirts of town. Use the rest of the day to explore. In the early evening, drive for around three hours by private vehicle to Hubli, where you'll board an overnight nine-hour train to Goa. Famous for the sandy beaches that line its coast, Goa is a fascinating and distinctive region in India's southwest. Brimming with Portuguese influences and bursting with fresh food, this region has earned its idyllic badge. There are no activities planned for the final day and you're able to depart the accommodation at any time. Goa is a great place to end the trip ' if you can, we recommend staying on for a couple of nights to relax and explore.